In a recent article, Castles et al (2018) have concluded that there is insufficient evidence as yet to determine whether the synthetic phonics approach is superior to the analytic phonics approach, citing the meta-analyses of Ehri et al ( 2001) and C.Torgerson et al (2006). The experiments comparing the effectiveness of synthetic versus analytic phonics teaching by Johnston and Watson (2004) were carried out on children in their first year of school (equivalent to kindergarten in the U.S.). Johnston and Watson’s (2004) synthetic phonics approach was taken from the method used in Austria, as described by Feitelson (1988), where sounding and blending was introduced at the start of reading tuition. Children learnt to read and spell very much better when taught by the synthetic phonics method compared with the typical analytic phonics method used in Scotland. When the UK Education Select Committee recommended to the government that it consider introducing the synthetic phonics method into schools in England, it referred to it as ‘phonics first and fast’. A later introduction of sounding and blending means that other methods are used first, approaches which often undermine the synthetic phonics approach. Therefore, in order to examine the evidence supporting the effectiveness of the method, only studies where the synthetic phonics method was introduced in kindergarten should be examined. It should be noted that Ehri et al’s (2001) analysis compared synthetic phonics programmes with those containing unsystematic phonics or no phonics (page 400), not analytic phonics, which is systematic. They did compare the effect sizes for synthetic phonics (d=0.45) and larger-subunit programmes (d=0.34), which was not statistically significant. However, in the UK analytic phonics is taught at the grapheme to phoneme level, after establishing an initial sight word vocabulary, so it is not a larger subunit approach in the early stages. In Scotland, the approach traditionally progressed to teaching sounding and blending at the end of the first year at school. In our research, the defining feature of synthetic phonics was that sounding and blending should be taught right from the start. 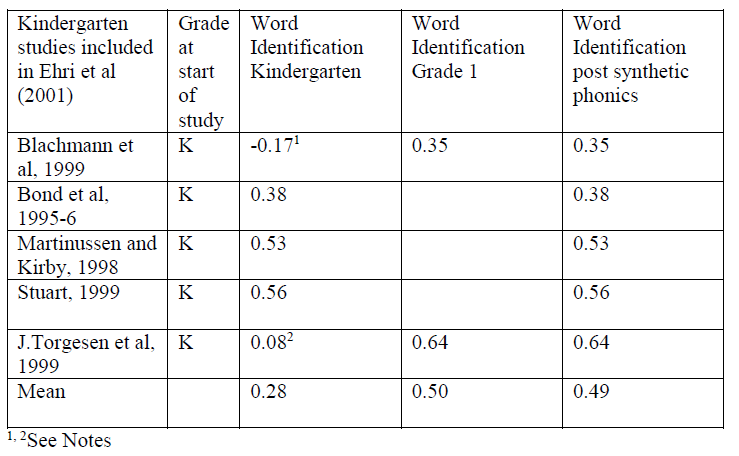 An examination is made here of all of the kindergarten studies using synthetic phonics included in Ehri et al (2001), with the exception of one study that did not measure word identification so cannot be directly compared to Johnston and Watson’s (2004) experiments (see Table 1). It should be noted that two of these studies carried out phonological awareness training prior to teaching participants to read via synthetic phonics (Blachman et al, 1999; J.Torgesen et al, 1999, see Notes 1 & 2). These studies have very low effect sizes at the kindergarten post-test. When these data are included (see column 3) the mean effect size is low (0.28). A different picture emerges at the next post-test, after synthetic phonics teaching had commenced, see column 4. When these data points from these two studies (see column 5) are used, a mean effect size of 0.49 is found. The two studies by Johnston and Watson (2004) comparing synthetic phonics teaching with the analytic phonics approach used in Scotland yielded large effect sizes (see Table 2); these studies were not included in the Ehri et al (2001) meta-analysis. In the Clackmannanshire study (Experiment 1), over a 7 year period the effect sizes for word identification versus chronological age increased year after year (Johnston, McGeown and Watson, 2012). This meta-analysis was designed to compare synthetic with analytic phonics teaching, so included only 3 studies; it also deselected any studies which were not randomised controlled trial studies (unlike Ehri et al, 2001). They included Experiment 2 from Johnston and Watson (2004). However, one of the studies included was an unpublished one that had an incorrect implementation of the synthetic phonics method (50% of the taught words were silent ‘e’ words, which cannot be accurately blended by initial readers). Furthermore, C.Torgerson et al (2006) put into the analysis the post-test data from the trained items, where there was a difference favouring analytic phonics, not the data from the untrained items, where there was no difference. C.Torgerson et al (2006) also included the J.Torgesen et al (1999) study, but put in the kindergarten data from when the children were largely being taught phonological awareness. At this stage, the embedded (not analytic) phonics control condition included a lot of word reading, whereas the PASP method did not. 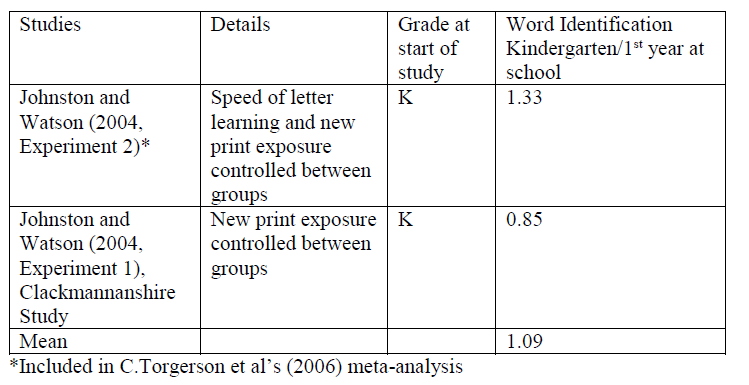 It can be seen that when the children were exposed to the synthetic phonic element of the programme, the effect size in favour of the method was much greater (see Table 1). The US National Reading Panel meta-analysis reported in Ehri et al (2001) included studies with a late implementation of synthetic phonics teaching, an approach which is not compatible with the method used by Johnston and Watson (2004). Even when the studies of synthetic phonics that started in kindergarten were examined, two of them were found to have a late introduction of sounding and blending for reading as phonological awareness was taught first. In both cases, the introduction of synthetic phonics later on led to a very large increase in effect size. No study in this sub-analysis self-identified itself as having an analytic phonics control condition. Furthermore, the comparison in the meta-analysis between synthetic and large subunit phonics does not encompass the analytic phonics approach used in the UK for the initial teaching of reading. A close examination of the C.Torgerson et al (2006) meta-analysis shows evidence of multiple errors in the selection of the studies to be included and in the selection of the data entered into the analysis. The number of studies included was also too small to allow for a meaningful meta-analysis. It cannot be concluded that these two meta-analyses showed evidence against the superiority of the synthetic over the analytic phonics method. then rapidly learnt more letter sounds and continued to use the strategy. We found that these children had much better reading and phonological awareness skills than those taught either by analytic phonics, or by analytic phonics plus phonological awareness (Johnston and Watson, 2004, Experiment 1, the Clackmannanshire Study). Unlike broad-based meta-analytic comparisons, there was strict control of the new printed words used to teach all of the groups compared in our studies, so issues of pace of print exposure between studies do not arise. Furthermore, we have demonstrated that the early rigorous start of synthetic phonics teaching led to the children making increasing gains in reading ability compared with age long after the intervention ended (Johnston et al, 2012). Blachman, B., Tangel, D., Ball, E., Black, R., & McGraw, D. (1999). Developing phonological awareness and word recognition skills: A two-year intervention with low-income, inner-city children. Reading and Writing: An Interdisciplinary Journal, 11, 239–273. 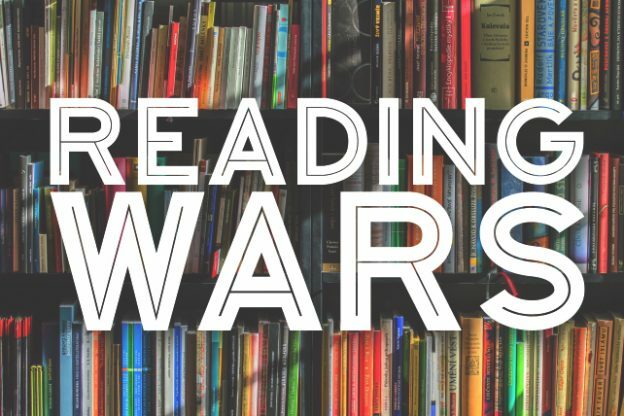 Castles, A., Rastle, K, and Nation, K (2018) Ending the Reading Wars: Reading Acquisition From Novice to Expert. Psychological Science in the Public Interest, Vol. 19(1) 5–51. Ehri et al (2001) Systematic Phonics Instruction Helps Students Learn to Read: Evidence from the National Reading Panel’s Meta-Analysis. Review of Educational Research,71, No. 3, pp. 393–44. Feitelson, D (1988) Facts and fads in beginning reading: A cross-language perspective. Norwood, NJ: Ablex. Johnston, R.S and Watson, J. (2004) Accelerating the development of reading, spelling and phonemic awareness. Reading and Writing, 17 (4), 327-357. Johnston, R.S, McGeown, S, and Watson, J. (2012) Long-term effects of synthetic versus analytic phonics teaching on the reading and spelling ability of 10 year old boys and girls. Reading and Writing, 25, part 6, 1365-1384. Johnston, R. and Watson, J. (2014) Teaching Synthetic Phonics, 2nd edition. Sage (Learning Matters): London. Torgesen, J., Wagner, R., Rashotte, C., Rose, E., Lindamood, P., Conway, T., & Garvan, C. (1999). Preventing reading failure in young children with phonological processing disabilities: Group and individual responses to instruction. Journal of Educational Psychology, 91, 579–593. words spoken by the teacher, (2) a segmentation-related activity, such as grouping words on the basis of shared sounds (e.g., hat and hot go together because they share the same initial sound), and (3) one of a variety of activities to teach the letter names and sounds of eight letters (a, m, t, i, s, r, f, b). This entry was posted in Papers, Systematic Synthetic Phonics and tagged analytic phonics, Blachman, Castles, Clackmannanshire, effective reading instruction, Ehri, evidence, Feitelson, Geown, Johnston, longitudinal study, Nation, Rastle, research, Scotland, SSP, synthetic phonics, synthetic v anayltic, systematic synthetic phonics, Torgesen, Watson on 17th June 2018 by Anne Glennie. Some children we teach imprint indelible memories. One such was Raymond. He was a ‘blitz of a boy’ fashioned in the mould of Charles Causley’s, ‘Timothy Winters’. For him, school was not always a pretty sight. During a story writing lesson, he asked: ‘‘Sir, how do you spell peace?’’ I said, ‘’Do you mean as in a piece of pie, Raymond?’’ He said, ‘’No. I mean like when ‘me’ dad says: turn that bloody telly off and let’s have a bit of peace.’’ This was almost 60 years ago when I was a ‘rookie’ primary teacher and Raymond was one of 40 children in my class of nine-year-olds. While much has changed markedly for the better in primary education over the years it seems that peace has yet to break out over how best to teach young children to read and write. 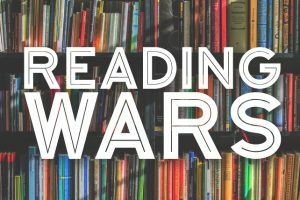 In the never-ending ‘Reading Wars’, the noise of battle is sometimes akin to those repetitious adverts on the ‘telly’ that numb the brain: once described by a teacher colleague as ‘stereophonic porridge — cold grey and coming at you from all directions’. For hardworking, dedicated primary teachers much of this debate must come over as a Tower of Babel, especially when they look to research for help only to find that it, too, often points in opposite directions. On the face of it, two recent papers by Greg Brooks, seem to be another attempt to stir the porridge in Australia and in England. The first argues forcibly that Australia should resist the temptation to introduce a version of the Phonics Screening Check (PSC). The second is one of a brigade of papers in a recent book edited by Margaret Clark, a long-standing critic of the Reading Review (Rose 2006), who seems to be stuck fast in an unreconstructed, Plowdenesque view of primary education. Australia is debating the value of a Phonic Screening Check for their schools and is wisely drawing upon rich seams of national and international academic expertise and professional practice to inform their decisions. This paper therefore focuses upon the papers by Brooks and Clark in the case of England. In passing, however, it is perhaps worth saying the PSC is turning out to be an exceptional initiative, not least, by providing a very strong incentive for schools and teachers to verify their judgements and keep children’s progress in phonics under review. Since it was published, I have spent much time reminding critics, first, about the remit of our 2006 Review and, secondly, on explaining what it did not say to those inclined to believe everything they read in the press, as well as those with vested interests be they ideological, or commercial. I agree with Greg Brooks in that many who take issue with the 2006 Review have either not read it or have chosen to ignore its key recommendations which, for example, set phonics in the context of a powerfully enriched primary school curriculum that prioritises literacy, with serious attention given to developing spoken language and attentive listening alongside reading and writing. ‘If they can’t say it they can’t write it’ has always seemed to me to be one of several obvious reasons for fostering ‘oracy’ from birth, as a precursor for literacy and much else. How many times and ways does the message that: ‘high quality phonic work is essential but not sufficient for teaching children to read’, need to be parroted before it sinks in? Even though the research in 2006 may have been inconclusive the requirement was to make a judgement, not to sit on the fence. Ten years on, I would argue that the research is now far from inconclusive, rather it amounts to an even stronger case for synthetic phonics. By any reasonable definition ‘synthetic phonics’ is systematic, that is to say, it must be taught directly, regularly and incrementally according to a planned progression that takes full account of children’s different but developing abilities. Moreover, ‘inconclusive’ seems to be an outcome to which educational research is particularly prone. What are teachers expected to do when research accrued over years at considerable expense comes to no conclusion and they have to teach something as crucially important as reading? One obvious response to that question is to take ‘proven practice’ (R. Slavin 2016) into account and that, too, was written into my remit as ‘best practice’. Greg Brooks and one of his colleagues, Carole Torgerson had a different answer. If memory serves, having themselves already conducted a review of research on phonics, they wanted to spend another four years at considerable expense on a randomised control trial designed to settle the matter on synthetic phonics. This was because their review had found in favour of systematic phonics but was ambivalent about the primacy of synthetic phonics over ‘analytic phonics’. In my view and that of other members of our Advisory Group so doing risked kicking the can down the road for another four years thus paralysing action in schools and teacher training. Contrary to Greg’s reflections on the run up to my Review, we spent a great deal of time, especially in schools, observing the teaching of reading, including a very helpful visit to the famous Clackmannanshire Project. We saw most, if not all of the leading-edge, published reading programmes in action and attended teacher training events. We also had the benefit of an HMI survey designed to inform the Review, plus numerous meetings of stakeholders, such as, parents. Though unacknowledged by Clark and Brooks, all of this is set out in the Review. Prior to the Review I had also taken part in HMI exercises reporting on what turned out to be a flawed ‘Searchlights’ model of reading in England’s National Literacy Strategy, as well as directly observing the teaching of reading in projects overseas, including the USA and Europe. In the case of phonic work, it is very clear that for any programme to be successful, first and foremost, it must be systematic. That is ‘square one’. This much at least seems to be common ground with Greg Brooks but less so it seems with Margaret Clark. Judgements about synthetic phonics therefore covered one, albeit hugely important, aspect of the remit. So, the question seems to be: ‘Synthetic phonics works in practice but does it work in theory?’ Fair dues – Greg is working on it. Perhaps we should remind ourselves that wars have winners and losers and in this phoney battle over phonics; the risk is that the real losers will be children, especially those who struggle to learn to read and of whom much more needs to be said than can be covered in this paper. More than 100 schools have not improved in the last 10 years, education watchdog Ofsted is expected to say. The annual report by the Chief Inspector of Schools being released on Wednesday is expected to show that 130 schools have failed to record a “good” inspection since 2005. It is reported that of the 20,000 schools in the country, 500 of those for children of primary age and 200 for over-11s have failed to make the grade. However, 90% of all primary schools and nearly 80% of all secondary schools are rated good or outstanding, the report will say. Clearly the rising tide of reading success in England is a cause for rejoicing but it is not lifting a worrying minority of boats that are firmly stuck in the mud. We need to keep working at it. Given that we know so much about ‘what works’ to secure high standards of reading in schools – perhaps we should now pay more attention to that other crucial piece of the territory and ask: what works to best effect in teacher training? For further information and discussion, please visit the forum here. This entry was posted in Articles, Papers, Systematic Synthetic Phonics and tagged Brooks, Clackmannanshire, effective reading instruction, England, Greg Brooks, literacy, Margaret Clark, phonics, Phonics Screening Check, PIRLS, Plowden, Reading Review, Rose Report, Sir Jim Rose, systematic synthetic phonics, what works on 5th January 2018 by Anne Glennie. Books have always been a part of my life. Growing up, our house contained bookshelves bursting at the seams with volumes. A wide range of topics were represented; the classics, light romance novels, encyclopaedias, books about Buddhism, Christianity, philosophy, pottery, home improvement, self-improvement, the complete works of William Shakespeare and of course, the Readers Digest condensed books that arrived regularly in the mail. My Mother was an enlightened woman who, acutely aware of her own lack of education (despite being Dux of the School she was not permitted to stay at school because she was a girl) was determined that her children would be able to converse on a variety of topics. We watched documentaries, talked about world affairs, had deep and meaningful conversations about the meaning of life and throughout my childhood, a word of the week had to be used in a meaningful sentence a couple of times a week. Little did she know then that she was ahead of her time. It was my mother who taught me about ‘sounds’ and sounding out, expanded my vocabulary, ensured that I understood what I was reading and made me a voracious reader. I am so very grateful. My first encounter with teaching phonics was in 2005 where I volunteered at an independent school in the NSW Hunter Valley. The school had 27 students and was staffed by a principal and teachers whose conviction in the difference we can make the kids was palpable. I recall one teacher angrily declaring, “You never write kids off!” after hearing about their experiences at a previous school. There was a common purpose and passion and enrolments quickly grew. This school was using a grapheme to phoneme program called LEM which taught students ‘phonograms’ where several phonemes were attached to a grapheme, digraph or trigraph. Children would learn the grapheme ‘a’ and say “fat baby in the bath all washed” learning the associated phonemes. This school was where I first became aware of spelling rules and the logic of words. I realised at this point that reading and spelling was something that I had always just ‘done’, but not understood. At about the same time I was seeking a more meaningful base for my study. I was appalled at how soulless and mechanical the teaching felt in my mainstream university. 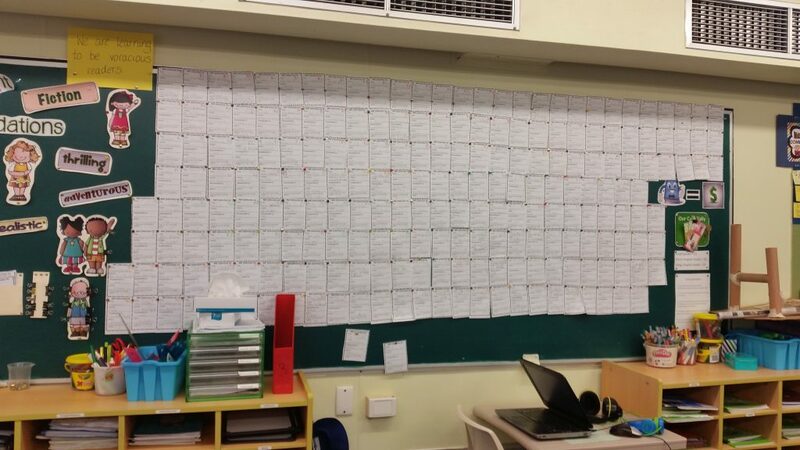 I felt a call to action and began to tutor struggling students. I reasoned that even with my limited knowledge I couldn’t do any worse for these children than the school system had already done. My first student was a little boy in year 2 who had been diagnosed with Dyslexia. His previous teacher saw no reason to give him a spelling book, so he played during spelling lessons instead. The psychologist who diagnosed him told his parents that they would need to think carefully about the jobs that their son would be able to do when he grew up. He was withdrawn, sad and disengaged. It made me furious. I tutored this little boy for free for the whole Christmas holidays. With encouragement, a focus on phonics and the effort to make reading fun he went from a little boy throwing his book across the room to one hounding his mother to read another book with him. Once back in the classroom however, this all reversed and he was back in a world of struggle. In 2006 I found myself at an Independent faith-based tertiary college in New South Wales and the lecturers there helped to fan the flames of my passion for teaching. They were connected with schools, still taught, mentored teachers and above all, were highly dedicated and passionate about their profession. I remember one lecturer talking to us about her time teaching in the 80’s and how she had been instructed not to teach phonics. She told us that she wrote a whole language program and then taught phonics anyway. She talked to us about the very real responsibility that we had as teachers to set our students up for success. Part of her regular lecturing program was to bring in the parent of an ex struggling student to address the preservice teachers. She made her students see their responsibility through the eyes of a parent whose child had been so very let down by the school system. From this woman I learned a defiance and steadfastness that stays with me to this day. I continued to tutor throughout my teaching study and, other than that one year (I had a second baby and had to move to a distance program), I recall no teaching about phonics or the evidence around reading instruction. At my busiest, I worked with 30 students each week from home. Places were tight and I had to start a waiting list. I worked with students ranging from 6 to 14 years old. For those who I saw for reading there was a common theme. They knew ‘single sounds’, a few consonant digraphs and many were very good at ‘sight words’. Without fail these students had no clue what to do when presented with unfamiliar words, particularly those containing vowel digraphs. We worked through these unknown representations systematically and explicitly and children’s reading and spelling improved. I asked parents to sit in on the sessions to build a ‘learning relationship’ with their children. I felt that building the knowledge and skills of parents was a key part of improvement. I was right. Parents would sit and take notes. They joined in the games and met other parents who helped them see that their child’s difficulties were not because they didn’t read them enough books when they were three. When we left to come to the NT in 2012, parents cried and I felt awful, but I knew there were children even more in need than my tutoring students. In July 2012 I started my first teaching role in a remote Aboriginal school in the NT. I had a class of children aged between 4 and 7 who were all at the same achievement level in literacy. That is, there was virtually no achievement in literacy. Of the 50 or so students at our school only 3 or 4 could read anything approaching appropriate levels for their age. It was the status quo and, I was to discover, very normal. Our kids lived in overcrowded, rundown houses, had English as a third or fourth language and very often experienced extreme dysfunction at home. A term into this role I was introduced to ‘Miss O’. Miss O was a veteran teacher, a passionate advocate for children and had taken up the role of literacy and ESL advisor in our region. We were part of a ‘group school’. A cluster of 13 small remote schools managed under the umbrella of a central office in ‘town’. Miss O was determined that evidence based practice was going to be put in place in our schools. She started with phonological and phonemic awareness which we began to teach explicitly. She then went in search of a systematic synthetic phonics program that could be rolled out to our schools with a minimum of training. With high teacher turnover and hours and hours of driving between each school this was really important. Miss O found Jo-Anne Dooner and the Get Reading Right program. It completely changed the way we approached reading instruction. The whole language movement was very much entrenched in the NT (and in many places still is). Large amounts of money had been spent on Accelerated Literacy and other whole language programs. It was not going away without a fight. In our school we were a group of young, fairly new teachers eager to help kids get results lead by a Principal who wanted the best for his kids. We took Get Reading Right on board for phonics (along with vocabulary teaching and comprehension strategies) and saw results very quickly. Kids who had been stumbling along on the same Level 2 PM reader for four years were suddenly reading level 10, and then 12 and then 15, despite no change in their home lives or overall English skills. But, at the end of 2013 our Group School was disbanded in favour of school autonomy. Schools were on their own and the momentum of rigorous phonics existed only in small pockets of dedicated classrooms. We hadn’t had the time to prove that the approach worked. We saw the modest gains made on paper and knew that the potential was there for even more. Our story is now largely forgotten in the region. In 2014 we moved to town. I taught in a mainstream school for a term and then accepted the role as Teaching Principal for term 3 and 4. The school is a very small, remote (but otherwise mainstream) school on a cattle station. I took over from Miss Jasmine and was delighted to walk into a school where phonics and explicit teaching were well established. Though my approach differed a little from Jasmine’s the fundamentals were the same and the children there were doing well. We had 3 preschool students. We developed their phonological and phonemic awareness and by the end of their preschool year they were blending and segmenting orally and had begun to do so with graphemes as well. I felt good that they were set up for success. Of course, I had stuck with Miss O’s rule of ‘reading five times every day’ and the school was in a good position. We were ready for a change and headed interstate in 2015. I selected my next school (and that of our children) based mostly on its approach to teaching literacy. Our eldest was in year 6, our middle child in year 3 and our youngest in her first year of full time school. We wanted only the best for our kids. So, we headed off to another small, somewhat remote school. There I was content knowing that phonological and phonemic skills were taught first, then followed explicitly and systematically by synthetic phonics. A focus on vocabulary and building up all the required skills for reading helped me be confident in the education that my children and the other students. How did I find this school? Well, I followed Miss O! I knew that I wasn’t going to get all of that anywhere else. At the end of last year the NT beckoned and we are here once again. I did a stint as acting Teaching Principal at another remote Aboriginal school teaching Direction Instruction (Big D, big I). I won’t go into it here but it’s not my first choice of program. It was, at least, structured and didn’t have sight words. I am now Teaching Principal at another remote mainstream school. I have 21 students in my care (including my own two youngest) and am delighted at being able to ‘run my own show’ again. I have banished PM readers and sight word programs, introduced a rather eclectic program of explicit systematic synthetic phonics based on a few different programs and my own experience. I am thankful to Debbie Hepplewhite for support when I’ve been ‘standing out on the limb’ with regional leadership. It seems that ‘the limb’ is where I need to learn to be comfortable. We now have rich, decodable cumulative readers in place as well as daily supported reading and writing experiences. We explicitly teach phonology, morphology, etymology and comprehension strategies and seek to base all that we do on best practice, evidence and what is best for our kids. Coming in, I have found the same patterns as when I was tutoring. Those struggling with their reading know ‘single sounds’, some consonant digraphs and many are good with ‘sight words’. In our first term together confidence has grown. Kids are feeling empowered to use effective strategies and parents are positive about the changes. I feel that we are on the way. It is early days yet but I am hopeful that together we are going to see great growth in our kids. I am lucky to be part of a new project here in the NT that focuses on ‘the good stuff’. There is a common purpose, strong dialogue and a sense of hope that our efforts will result in measureable outcomes. Despite the extra work load brought about by the loss of group schools, the autonomy we now have means that I can follow the path that I feel is best for the school and respond to the needs of the students in front of me. We still have to PM benchmark as a system requirement but I am not using this to measure our growth. I want to see 8 months growth for 6 months of work. I want to see eyes shining as kids read books. I want parents to give a sigh of relief as they realise that their children can and will succeed. For me, teaching is not about lessons and pay. It’s about social justice. We know that low literacy is one of the biggest risk factors for all of the awful stuff of life. Knowing that, how can we NOT respond to the evidence? How can we NOT fight for change? How CAN we condemn so many kids to a life that is less than they deserve? Reading failure? Not on my watch! I am still a voracious reader. Admittedly I now read in snippets and half pages in between managing budgets and programs and family time. But I still have at least one book on the go. I am eternally thankful to my Mother who ignited my fire for reading and social justice and to the wonderful teachers and colleagues who have taught and encouraged me. I am so looking forward to learning more and doing better and continuing to make a difference. Wish me luck! This entry was posted in Articles and tagged comprehension strategies, direct instruction, dyslexia, etymology, evidence, Getting Reading Right, literacy, morphology, phonics, phonology, reading difficulties, vocabulary, what works, whole-word method on 23rd May 2017 by Anne Glennie. When I was about 9 years old, a man told me that I would grow up to be “a voice among the nations.” You could accurately call that man a prophet because sure enough, as I graduated university with a degree in English, I was led to my first adult job teaching at an International School in Houston, Texas. At first I was overwhelmed by the massive learning curve of trying to re-learn my own language by dissecting its parts so that the adults I was teaching could understand it. 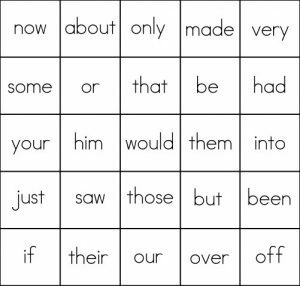 It hit me then that as a child, I never thought about past participles or vowel patterns. I simply absorbed it. As a new teacher, I thought constantly about how I could make learning English a fluid experience instead of an arduous task. Daily, I used games, roleplays, and realia instead of drilling structures into my students’ heads. I learned a tremendous amount about adults’ comprehension abilities and my own strengths and weaknesses. The school graciously sponsored my CELTA certification in my second year and my knowledge of teaching flourished. At the same time, my passion for understanding other cultures increased exponentially. Taking your students to a Texas rodeo, riding roller coasters with them, and eating countless meals at their dinner tables changes you. It’s cliché, but it truly changes your mind and your heart. I began to have an even deeper respect for those instructors who take the time to break down English into directly applicable bits for students’ needs. I’ve always been the curious type. I want to know why things work and behave the way they do. For myself, understanding a machine and using a machine are equally important. It’s complex, but it made sense to me that by making English understandable, consumable, that I could help my students daily needs. My desire became to give them voices that could accurately explain the side effects of their son’s cancer medication to their doctor, that would better their employment opportunities by translating their resumes, and that would simply help them learn to study the driver’s handbook so they could drive for the very first time. Passion is a strong, driving force, but so are student loans. I needed to move onto a job that would give me a chance to be financially free by the time I was at least 40. The Houston Public Library Specialist position was a God-send. Working with adults to do research, apply for their passport, learn technology skills, search for jobs, and help give access to millions of resources that would improve their lives- it was a wonderful fit for me. 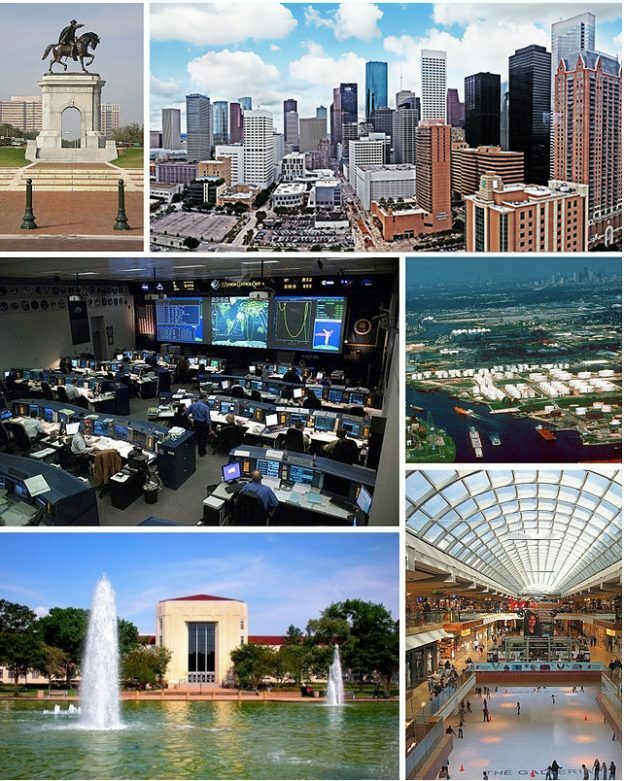 Houston is currently the United States’ most diverse city. From the abundance of oil companies located here to the world-renowned Medical Center to NASA, many families are drawn here. Houston homes more than 2 million people; 1 in 4 of which are foreign-born. For a couple of years, I organized the technology instructors in creating a unified and clear curriculum for the classes they offered across the library’s 40+ locations. Once my supervisors discovered that I had a Cambridge certification in teaching English to adults, they tagged me to start classes at the downtown location. When that small class proved to be growing, I began to build curriculum for the system’s future instructors. My hope was to design a plan that would equip library employees to start conversation groups, and eventually full ESL classes, with simple handouts, clear charts, and engaging activities that would focus on learning English realistically. See- we don’t have textbooks, grades, student laptops, admission requirements, and each of our programs are completely free. So, I’m incredibly grateful for Debbie Heppelwhite’s Alphabetic Code Chart and others who have created dynamic tools and graciously granted our new instructors access to them. Houston’s growth isn’t slowing down. The need here for English classes and free access to effective resources is vital to helping new immigrants, visitors, and international families thrive in their new home city. Thank you for helping a young teacher provide a beacon to Houston’s beautiful international community. I am a Library Service Specialist for the Central Houston Public Library specializing in Adult programs. 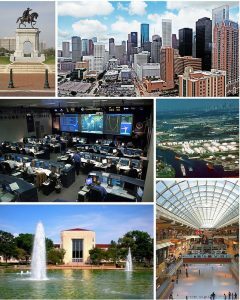 As Houston has grown rapidly over the last 5 years, the city has become the #1 most internationally diverse city in the United States. So of course, the library is naturally an institution for literacy and a connection point for resources and people. Our library offers everything from passports to fitness classes, gaming zones, music production, and more. Personally, I have tutored and taught English for approximately 6 years. Previously, I worked for a school under Berlitz. I also received my CELTA certificate during that time. The library caught wind of my qualifications for teaching English and decided that they had to begin expanding their outreach to internationals through English classes. Previously I organized the Technology Instructors but now it’s time to work on training instructors for our English and Citizenship offerings for the Houston community. Long story short – that’s how I found Debbie Hepplewhite’s Alphabetic Code Charts – I’m now composing a manual for explaining Grammar concepts to non-certified instructors. This entry was posted in Articles on 31st March 2017 by Anne Glennie. Recently Dr Jonathan Solity reported on his critical analysis of the Year 1 Phonics Screening Check.1 This has thrown a spotlight on his own programme for teaching reading, which was developed first as ERR (Early Reading Research), later known as KRM, and currently as Optima. Optima video from cris on Vimeo. Direct instruction (modelling) is used: I do, we do together, you do. It is not clear whether Solity has conducted research to justify his decision not to use the sort of decodable reading books often used now with SSP programmes. In these books a high percentage of words (average of 81% in the SSP study reported below) embody only the GPCs so far taught, with divergences in the few remaining words being explicitly taught. One longitudinal study of SSP (4) compared outcomes with and without decodable reading books (http://bit.ly/2coAoKP ). The study showed a gain of an extra 5 months of reading age for a cohort of 85 Reception children when decodable reading books were introduced for the first time, and when other teaching variables remained the same. 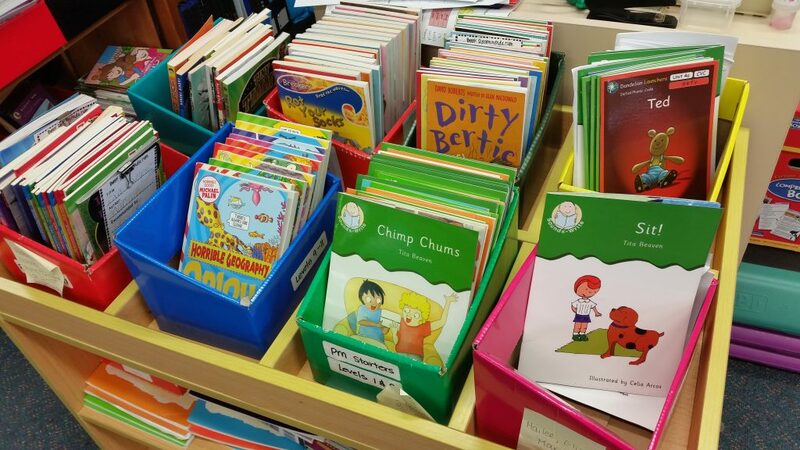 Subsequently in following years 433 Reception children used decodable reading books as their first experience of reading books for themselves alongside a SSP programme, using the phonics they had been taught. Over time these pupils were able to demonstrate an impressive start and sustained attainments, even those from vulnerable groups. To give further information on this study: Grant reported on whole cohorts of Reception children being taught synthetic phonics over an eight-year period. At the beginning of the study, during one year, the whole cohort of Reception children was not given decodable reading books, but continued to use the Oxford Reading Tree books employed by the school at that time, which were based largely on look-and-say and whole language principles. The 90 Reception children achieved an average of 12 months ahead of chronological age for reading and 17 months ahead for spelling at the end of Reception. The following year decodable reading books were written and used for the first time. 85 Reception children averaged 17 months above chronological age for reading, a gain of an extra 5 months of reading age compared with the previous year. Averaged over 6 years with SSP and decodable books, 433 children were 16 months ahead for reading and 17 months ahead for spelling. (4, p18) Cohorts of these Reception children were tracked through to their KS1 and KS2 English SATS where comprehension and writing as well as decoding skills were assessed. There is other supportive evidence for the use of decodable reading books, for example, the work of Juel and Roper/Schneider, 1985 (5) as referenced in: http://www.iferi.org/iferi_forum/viewtopic.php?f=2&t=469 (6). In addition there are the summaries of research into decodable text discussed in: http://www.iferi.org/iferi_forum/viewtopic.php?f=2&t=554 (7). Optima proposes teaching the 100 most frequently occurring words in English as whole words by sight, whether or not these words can be read using the GPCs already taught. “These were taught as whole words with no reference to any phonemes within the words …..” (8) (Shapiro and Solity, 2008). The 100 words were based on word lists and “determined as the optimal number by Solity, McNab and Vousden, 2007 (9); Solity and Vousden, 2009 (10); Vousden, 2007 (11)”. “Research has shown, however that even when words are recognised apparently by sight, this recognition is most efficient when it is underpinned by grapheme-phoneme knowledge”. “What counts as ‘decodable’ depends on the grapheme-phoneme correspondences that have been taught up to any given point”. “Even the core of high frequency words which are not transparently decodable using known GPCs usually contain at least one GPC that is familiar. Rather than approach these words as though they were unique entities, it is advisable to start from what is known and register the ‘tricky bit’ in the word.” (13, pp 15-16). The dual system of reading instruction proposed by Optima would not meet the DfE revised core criteria which defined the key features of an effective systematic synthetic phonics teaching programme (13). The Department strongly encouraged heads and teachers to consider the revised core criteria when making decisions about the quality of commercial programmes and the suitability of them for their particular schools and settings. The first of these criteria was ‘phonics first and fast’ as a programme’s prime approach to decoding print. Shapiro and Solity (15) compared the effectiveness of L&S (“which teaches multiple letter-sound mappings”) implemented in Reception with ERR (“teaches only the most consistent mappings plus frequent words by sight”), and then followed up outcomes at the end of the second and third years of schooling. They found the two programmes equally effective in broad terms with ERR being more effective with children with poor phonological awareness. In her blog on sight words (http://readoxford.org/guest-blog-are-sight-words-unjustly-slighted) (16), Professor Anne Castles reviewed the Shapiro and Solity 2015 study (15) and agreed with them that teaching frequent words by sight did not appear to interfere with phonics learning in the ERR programme. Shapiro and Solity (15) made some positive comparisons of ERR compared with L&S. However, would these comparisons hold up if ERR were compared with other SSP programmes? Shapiro and Solity suggested that in L&S some children may not have fully grasped the concept of segmentation and blending in the absence of print before moving on to segmentation and blending of letters. They pointed out, in contrast, that ERR continued to teach segmentation and blending in the absence of print in every whole class lesson. Is this true for any government ‘approved’ SSP programme? In at least one other SSP programme (3 and 17) practice with oral segmentation and blending precedes segmentation and blending of letters in every lesson. Shapiro and Solity (15) also maintained that ERR provided more practice with ‘tricky’ common words and that it might be more beneficial for L&S children simply to learn these by sight and gain regular practice with them, instead of attempting to analyse their sound structure. However, other SSP programmes may provide more explicit teaching and practice for HFWs. For example, in one other SSP programme there are resources (18) provided to support the analysis of sound structure in HFWs. Specially prepared common words, sentences and texts make it easier for children to practise sounding and blending them, so that the children begin to be able to read the words without overt sounding and blending. Thus, they start to experience what it feels like to read some words automatically. In addition, blending and segmenting of common ‘tricky’ words takes place in every lesson alongside more easily decodable words, providing the ongoing regular practice that Shapiro and Solity recommended. At present there appears to be insufficient evidence to support the Shapiro and Solity view that only ERR has potential benefits for children at risk of developing reading difficulties. They suggest that an optimal programme should explicitly teach children to use two strategies: sight recognition and phonic decoding. However, to date, they have not published data which compares ERR with SSP programmes other than L&S, particularly where those programmes use reading books with a high level of decodability and which explicitly support teaching for HFWs. The Grant longitudinal study (4) used a ‘phonics first and fast’ approach but also taught HFWs through sentence work and through a phonics route. Impressive results were achieved even with vulnerable groups of pupils who were at risk of developing reading difficulties and with higher achievers who were stretched (0% below Level 3B, 6% Level 3B, 94% Level 4+, 65% Level 5 at KS2 English SATs). Teaching in this way would require more words having to be taught explicitly should they contain a GPC not covered in the 61 high frequency ERR mappings. Would these words also be taught by sight? Such words would be in addition to the ‘tricky’ common words taught as “unique entities” by sight. In SSP programmes a greater number of words would be decodable as more GPCs would be taught and words with unusual GPCs would be blended from what is known and from registering the ‘tricky’ bit’ in the word as recommended by DfES. (14, pp15-16). Learning a large number of words by sight in this way could place a strain on memory to which there is a limit. Diane McGuinness reported the average visual-memory limit for whole word units as approximately 2,000 (19). A good English dictionary contains from 250,000 to 500,000 words, which sounds like a huge challenge for those individuals needing to memorise whole words. Whereas those able to use a more comprehensive alphabetic code would be at an advantage and more able to work out pronunciations using their pre-existing phonics. In her blog (16), Professor Castles suggested that some pupils in the Shapiro and Solity study (15) were possibly confused by being exposed to the multiple alternative sound mappings (GPCs) in L&S rather than to sight words in ERR. What about the strain on memory of learning GPCs? Is there a memory limit to the number of GPCs that can be taught explicitly? According to the literature this limit is high. Victor Mair, Professor of Chinese Language and Literature, claims there is a natural upper limit of approximately 2,000-2,500 to the number of sound-symbol units (in our case GPCs) which most individuals can tolerate (20). Also note the reference in http://www.rrf.org.uk/archive.php?n_ID=173&n_issueNumber=59). I think we are safe in saying that this limit far exceeds the demands of all SSP programmes. Even those SSP programmes which teach a large and very comprehensive alphabetic code for English are unlikely to be teaching more than 100-200 GPCs. Some SSP programmes will be teaching fewer and a number will be concentrating on even fewer. In Sound Discovery (3) every effort is made to teach the advanced code in the simplest and most straightforward way in order to decrease confusion and minimise overload. From the perspective of limits to memory, one cannot assume that learning 100 sight words and a reduced set of GPCs as in ERR is less strain on memory than learning more GPCs and constantly rehearsing and practising common ‘tricky’ words through phonics in a SSP programme. There may be a value in teaching a more comprehensive alphabetic code than Optima in a systematic way as recommended by the Year 1 Phonics Screening check (21), even if, in practice, a greater emphasis is placed on the most frequently occurring GPCs. We simply do not know whether programmes teaching less code are less effective or more effective when there is no comparative research. In the Optima video (2), Solity reported that his programme had reduced reading difficulties from 20-25% to 2-3%. It is perhaps not surprising that such positive results and views have been reported, given the systematic way the Optima programme appears to have been introduced and delivered in schools, the commitment of all staff, including senior management, and the ongoing support from the Optima team. However we do not know whether even better results could have been achieved if they had incorporated some of the features discussed above and which are found in good synthetic phonics teaching (viz. decodables, not teaching HFWs by sight, teaching a more comprehensive alphabetic code – even if then concentrating on the most frequently occurring). Dr Solity quoted a percentage of remaining ‘difficulties’ as 2-3% with Optima. In the Sound Discovery study (4) we were able to achieve just over 1% of moderate reading difficulties in 2004. Only one child out of the 3 form entry at Year 6 achieved less than Level 4 English. 94% of pupils achieved Level 4+ and 65% achieved Level 5. It is not clear how Solity defines ‘difficulties’ as they relate to his quoted 2-3%. In the Grant study the only pupil who did not achieve Level 4 gained a Level 3B English which is not a severe literacy difficulty. This pupil had complex and severe learning difficulties and he was followed up into his secondary school. He was reported as, “holding his own in mainstream classes in Year 7; he had made good gains in reading and spelling and could understand complex vocabulary in the curriculum. He was able to be de-statemented in Year 9” (4, p19). The Optima video stresses the importance of ‘real’ books in increasing the vocabulary and language comprehension of pupils. The Optima team did not use the sort of decodable reading books matched to their order of teaching GPCs often used now by SSP programmes. In contrast SSP schools comply with the Simple View of Reading (22) which identifies two distinct processes in learning to read: ‘word recognition’ and ‘language comprehension’. Many SSP programmes have a strong language comprehension strand using structured, decodable reading materials which aim not only to give practice with decoding but also to develop vocabulary and comprehension. In addition, in SSP schools, ‘real’ books and rich literature are used alongside decodable books for adults to read to children and to share with them. The aim is to establish a love of books and literature and to increase confidence and enjoyment. Children taught in this way pick up reading quickly. 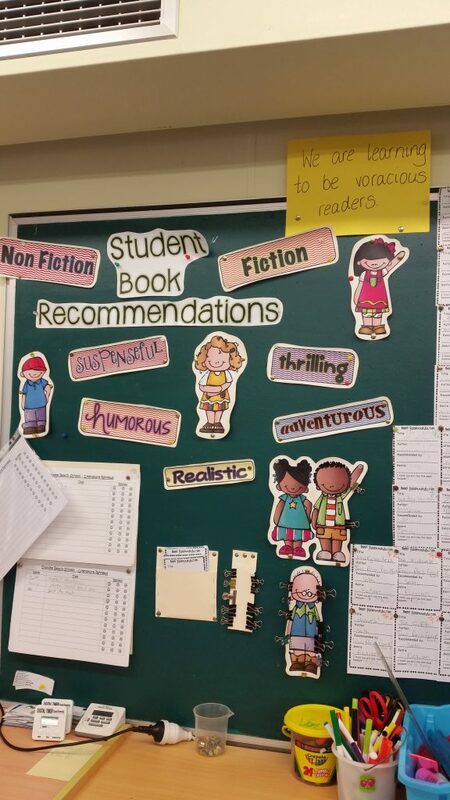 They become enthusiastic and confident about their reading. They are more able and willing to engage in the world of reading around them and take advantage of incidental phonics practice in the environment. They are also more able and willing to access a wide range of texts and literature themselves. The Optima video was impressive and I am not surprised that the schools were achieving good results with a programme and teaching which the majority of us could endorse. However, in my view, similar outcomes could be achieved and even surpassed in schools which are committed to following rigorously a good quality systematic synthetic phonics programme, which uses books which are decodable at a high level (in this instance at the 81% level as mentioned on page 2) and teaches HFWs with attention to what is, and is not, decodable in them. Optima Video (2016). Optima Psychology, available online at http://optimapsychology.com/fi nd-out-more/introductory-video /. Grant, M. (2000). Sound Discovery Manual. Synthetic Phonics Ltd., www.syntheticphonics.net . Grant, M. (2014). Longitudinal Study from Reception to Year 2 (2010-2013) and Summary of an earlier Longitudinal Study from Reception to Year 6 (1997-2004). The Effects of a Systematic Synthetic Phonics Programme on Reading, Writing and Spelling. Paper presented to ResearchEd Conference, London, 2014. Available online at http://bit.ly/2coAoKP . Juel, C. & Roper/Schneider, D. (1985). Reading Research Quarterly, 18. Also in Adams, M.J. Beginning to Read: Thinking and Learning about print, Bradford Books, pp275-280. International Foundation for Effective Reading Instruction (IFERI), 2015. Is there a role for predictable texts in reading instruction? Available online at: http://www.iferi.org/iferi_forum/viewtopic.php?f=2&t=469 . International Foundation for Effective Reading Instruction (IFERI), 2015. The multi-cueing reading strategies and ‘Is reading about getting meaning from print’? Available online at: http://www.iferi.org/iferi_forum/viewtopic.php?f=2&t=554 . Shapiro, L. & Solity, J. (2008). Delivering Phonological and Phonics Training within Whole Class Teaching. British Journal of Educational Psychology, 78, part 4, pp 597-620. Solity, J., McNab E. & Vousden, J. (2007). Is there an optimal level of sight vocabulary to teach beginning readers? Unpublished data. Solity, J. & Vousden, J. (2009). Reading schemes vs. real books: A new perspective from instructional psychology. Educational Psychology, Volume 29, Issue 4. Vousden, J. (2007). Units of English spelling-to-sound mapping: a rational approach to reading instruction. Applied Cognitive Psychology, Volume 22, Issue 2. McGuinness, D. (2004). A response to teaching phonics in the National Literacy Strategy. RRF (Reading Reform Foundation) Newsletter 51. Available online at: http://www.rrf.org.uk/archive.php?n_ID=112&n_issueNumber=51 . Department for Education (DfE) (2010). Phonics teaching materials: core criteria and the self-assessment process. Crown copyright. Available online at: https://www.gov.uk/government/uploads/system/uploads/attachment_data/file/298420/phonics_core_criteria_and_the_self-assessment_process.pdf . Department for Education and Skills (DfES) (2007). Letters and Sounds: Principles and practice of high quality phonics. Notes of guidance for practitioners and teachers. DfES Publications, pp15-16. Available online at: https://www.gov.uk/government/publications . Shapiro, L. & Solity, J. (2015) Differing effects of two synthetic phonics programmes on early reading development. British Journal of Educational Psychology, Volume 86, Issue 2, pp182-203. Castles, A. (2016). Guest Blog: Are sight words unjustly slighted? Read Oxford, University of Oxford. Available online at: http://readoxford.org/guest-blog-are-sight-words-unjustly-slighted . Grant, M. (2014). Sound Discovery High Frequency Words, Version 2. Synthetic Phonics Ltd. www.syntheticphonics.net . McGuinness, D. (2004). Growing a Reader from Birth, W.W. Norton. Department for Education (2011). 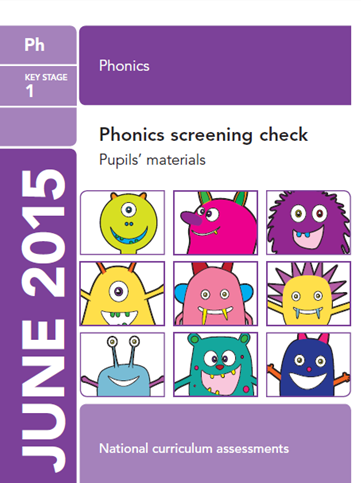 Year 1 Phonics Screening Check. National Primary Framework for Literacy and Mathematics (DfES) (2006). Crown Copyright. This entry was posted in Articles, Papers, Systematic Synthetic Phonics and tagged decodable reading books, decoding, direct instruction, Dr Jonathan Solity, Dr Marlynne Grant, effective reading instruction, ERR, GPCs, HFWs, KRM, learning difficulties, longitudinal study, look and say, Optima, phonics programmes, Phonics Screening Check, real books, research, Shapiro, sight words, Solity, Sound Discovery, systematic synthetic phonics, whole-word method on 30th October 2016 by Anne Glennie. While England may not top PISA’s international league tables, we almost certainly surpass our international counterparts in the amount and pace of educational reform that governments of all stripes have generated since the Education Reform Act in 1988. * In a nutshell, the aim of these reforms has been ‘to raise standards and narrow gaps’ in pupil performance. Headline news has recently focused yet again on falling standards of education as national examination results for 16 year-olds this year show that: ‘GCSE grades have seen the biggest ever fall in the overall pass rate in the history of the exams.’ These grades apply to schools in the state sector and stand in sharp contrast, to the independent, private sector where more than a third of the children achieved the highest grade of ‘A’ – nearly five times the national average. The private sector in England now stands at around 7% of the school population and is way beyond the means of the great majority of parents. Lloyds Bank recently estimated the costs of sending one child to private school from reception to Year 13 as £156,653 – annual fees having nearly doubled from an average of £7,308 in 2003 to £13,341 in 2016. It is hardly surprising, that this has prompted a resurgence of fierce debate about the stubborn obstacles in the way of boosting the attainment of children from low income families and narrowing the gap in educational performance between disadvantaged children and their more advantaged peers. The debate has been further inflamed by recent government proposals to provide more selective, state grammar schools ‘to give parents a wider choice of schools’ irrespective of their background circumstances. All of this has coincided with the latest national curriculum assessments for children in the final year of primary school (11yr-olds) showing that fewer pupils reached the expected standard in reading than in writing and mathematics. Moreover, evidence of lasting improvements from numerous targeted interventions to help struggling readers is rare. It seems that hard won, early gains from programmes designed to help them ‘catch-up’ tend to fade out as they fail to keep pace with the overall rate of progress of their year groups. ‘Over the entire second half of the 20th century, these prejudices made it exceptionally hard to do more than fiddle around at the margins of state-private partnership. This, in turn, bred a deep fatalism which is with us still. Everyone knows that the status quo is terrible – rigid separation between most of the nation’s most privileged and powerful schools and the rest. Yet no-one has a credible plan or will to do much about it except say how bad it is, why it’s someone else’s fault, and why it will never change because, well, this is England, it’s deep and cultural, and it all began with Henry VIII. 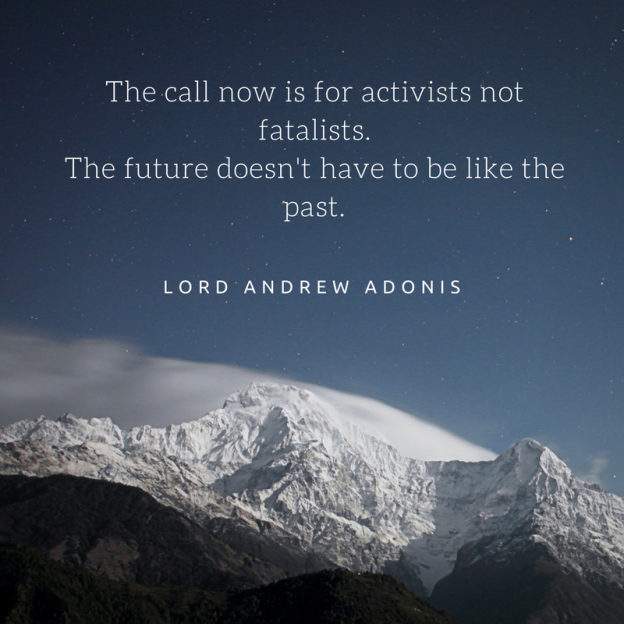 It’s the same fatalism which greeted gridlock in central London before the congestion charge, hospital waiting lists before patients’ rights, and rain stopping play at Wimbledon before the roof. In a bold attempt to achieve a strong ‘state-private partnership’, he paved the way for academising the school system – a major reform in England which, though not without criticism, remains a firm commitment of the present administration. However, progress has been patchy. These radical systemic/organisational changes have yet to make the looked for impact on helping less well-off children scale the rock face of disadvantage. For them it is much like bicycling a ‘penny farthing’ uphill – the higher they get the harder it becomes. Well-off parents, it seems, are able to equip their children with an Olympic class bike in the shape of private schooling that boosts their rate of progress. So what might we do, or do differently to make sure all children have an educational super bike? It is of first importance, not to lower our educational expectations for disadvantaged youngsters. There are some telling examples of those from the most unpromising background circumstances succeeding against the odds. Moreover, by no means all privately educated youngsters from prestigious schools ‘make it big’ – so caveat emptor. Secondly, school inspections show that schools of all types vary in quality ranging, in OFSTED terms, from ‘outstanding’ to ‘in need of improvement’. This suggests that systemic change alone is unlikely to be the tide that lifts all boats. It is trite but true to say that to be successful such change must secure high quality teaching irrespective of school type or location – hence, we would do well to curb our appetite for systemic reform and put more effort into the professional development of teachers and training those who support them in the classroom. While it ought to be a given that every school should endow all of its children with the advantage of high quality teaching, inspection reports show this not to be the case. Rather, the picture remains one of too much variation in the quality of teaching within and between schools. The well-worn mantra that no school can be better than its teachers needs more that a facelift. It needs a change of heart. This part of the forest might also benefit from a clearer definition of what ‘high quality’ looks like. In other words, establish a common language for a discourse on optimal teaching (and learning). Some promising developments worth close attention have ‘moved the needle’ by encouraging schools to be ‘self-improving’. One recent piece of research points to a positive impact on narrowing the gap in the reading performance of disadvantaged primary children by means of cost effective, well-taught phonic programmes (Centre for Economic Performance Paper No.1425 April 2016). We do not yet know how well these gains are sustained for example, when children move from primary to secondary education. However, OFSTED Annual Reports show that, in this respect at least, the primary sector is doing rather better than the secondary sector in narrowing the literacy gap – much to the credit of primary teachers. Given that we know far more about how to teach children to read and write than ever before there should be no excuses for poor teaching in this territory. *The Education Reform Act 1988 is widely regarded as the most important single piece of education legislation in England, Wales and Northern Ireland since the ‘Butler’ Education Act 1944. (Wikipaedia). **The pupil premium is additional funding for publicly funded schools in England to raise the attainment of disadvantaged pupils of all abilities and to close the gaps between them and their peers. This entry was posted in Articles, News, Papers, Reading, Systematic Synthetic Phonics and tagged academies, closing the gap, England, GCSE grades, grammar schools, interventions, phonics, PISA, poverty related attainment gap, private schools, Sir Jim Rose, Sir Michael Wilshaw on 17th September 2016 by Anne Glennie. I began teaching in NSW, Australia, in 1964 and always used phonics, though at that time systematic synthetic phonics had not been thought of. In those days, it seemed that children simply learnt to read and whole classes of older children with reading problems were something for the future. In the mid 70s, we were told by the Department of Education, to no longer use phonics. To my knowledge, we all continued, behind closed doors. That no doubt skewed results, as children were learning to read with phonics, while the powers-that-be thought they were learning without phonics. I retired from teaching in 1999, studied linguistics and developed a reading scheme of my own. In the following years, hundreds of children came to me and other teachers I trained, for private lessons. I have had an interview with the principal to explain my involvement with the teaching of reading, but he showed no interest, either. I attended the ‘Five from Five’ launch and emailed the report, as well as sending a hard copy to him. No response. Ironically, this friend is the developer of the synthetic phonics apps, which he would gladly supply free of charge. It is unbelievable that the battle for the correct way to teach reading has been going on for more than half a century! 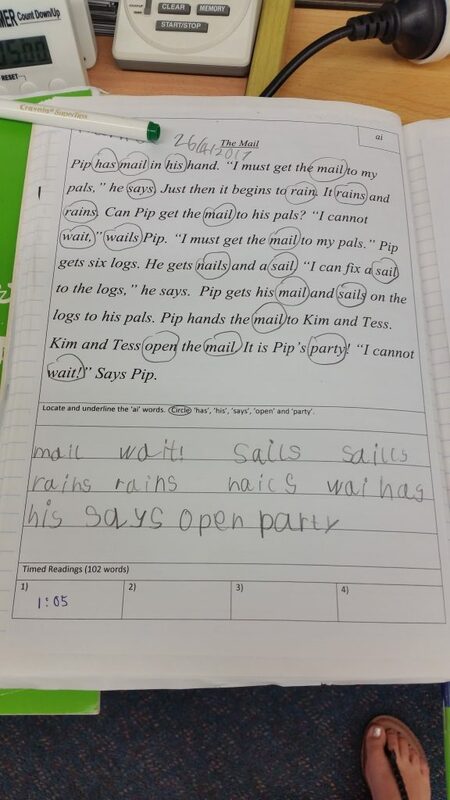 This entry was posted in Articles, Systematic Synthetic Phonics and tagged effective reading instruction, instructional failure, reading difficulties, sight words, sounding out, systematic synthetic phonics, what works on 22nd July 2016 by Anne Glennie. IFERI is pleased to present a new paper by Sir Jim Rose, which was written as a response to Professor Julian Elliott’s recent presentation at Macquarie University, Australia. The range and depth of enlightened thinking that DDOLL (Developmental Disorders of Language and Literacy Network) colleagues have brought to this discussion is riveting. 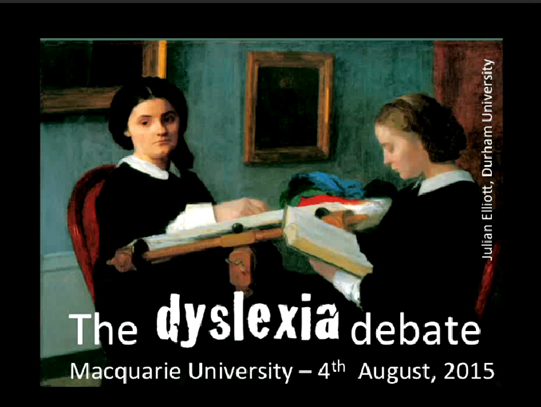 It transcends historic wrangles over the term dyslexia that have done little to take us forward. Belatedly, I should like to add a couple of wild cards to this captivating exchange of views. The purpose in so doing is to explore further what might done to make sure far more of the children within the frame of so-called ‘instructional casualties’ receive consistently high quality teaching of reading and related aspects of literacy. Arguably, if schools could achieve this the benefits to children would be enormous and the need for costly intervention programmes reduced. First, given that the education profession has access to a vastly greater knowledge of reading development than ever before, why is it that we continue to see confusion, not to say dissent, in schools and teacher training, about the teaching of reading, particularly in respect of phonics and dyslexia? In the UK, although there has been considerable progress over the last decade, we still suffer from outbreaks of phonic phobia and tiresome tensions between fake opposites, such as, phonics v ‘reading for meaning’. Despite the enactment of a National Curriculum which makes such teaching mandatory, we have not yet achieved universal agreement in schools that teaching children how the alphabet works for reading and writing is crucially important. The mantra ‘one size does not fit all’ is often chanted against phonics. This suggests that some continue to regard phonics as one of several ‘methods’ from which to select and match to discredited notions of ‘learning styles’, rather than a body of core knowledge and skills that has to be taught and practised. In the case of phonic work, if teachers are not convinced of the value of a regularly applied systematic approach it is hardly surprising that mediocre and poor practice persist. What more might be done to make plain what high quality teaching looks like in this domain? As Alison Wolf (Review of Vocational Education 2011) said, ‘If assessing learning is hard, assessing the quality of teaching is harder’. Because the latter assessment brings with it concerns about ‘blaming teachers’ for children’s failures in reading it leads to reluctance to tackle what are often straightforward, improvable aspects of practice within the control of the teacher and the school. England may not top the international league tables of pupil performance but we must be among world leaders in the amount of inspection and testing that takes place in our schools, starting in the primary years. Many years spent as a school inspector observing teaching in England and elsewhere convinced me that there is far more variation in the quality of teaching literacy, including reading, between and within schools than there ought to be. Further, we know the distance between leading and trailing edge teaching is associated with unacceptable variations in pupil performance, and that the impact of poor teaching on children who enter school already behind their peers amplifies their difficulties. Is it beyond our capabilities to assess the quality teaching without blaming teachers? Last year an unfriendly tree wrote off my car. I survived the crash due to the incredible expertise of the medical profession. This unwelcome event had an upside, however, in that it gave me an opportunity to compare the performance of two life changing professions: medicine and education. I had lots of time to catch up on reading about reading while experiencing our National Health Service at its best. Further, I was able to listen to the 2014 Reith lectures by the acclaimed surgeon Atul Gawande. He declared that he was in ‘the disturbance business’ and explored thorny issues, such as, ‘Why doctors fail’. I then read his book: ‘The Checklist Manifesto – How to get things right’ and watched with his TED talk: ‘How do we heal medicine? Many of Gawande’s insights apply to getting things right in education. As a frontline surgeon, he drew upon keenly observed and detailed analyses of medical practice. 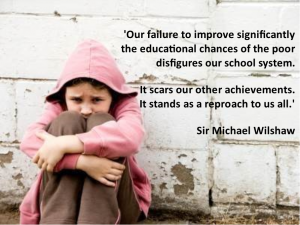 His concept of our ‘necessary infallibility’ has much to commend it should we dare to explore more forensically why teaching fails while making sure teachers know that the purpose of so doing is to work with them to improve the quality of teaching and achieve better outcomes for children. Among other things, Gawande suggests that doctors fail through lack of knowledge and, or, ineptitude, that is to say, insufficient skill in applying knowledge. He counts himself among them in these respects. He sees mistakes as opportunities: ’we have an opportunity before us, not just in medicine but in virtually any endeavour. Even the most expert among us can gain from searching out the patterns of mistakes and failures and putting a few checks in place. But will we do it? Are we ready to grab onto the idea? It is far from clear’. “First is an expectation of selflessness: that we who accept responsibility for others – whether we are doctors, lawyers, teachers, public authorities, soldiers or pilots – will place the needs and concerns of those who depend on us above our own. Second is an expectation of skill: that we will aim for excellence in our knowledge and expertise. 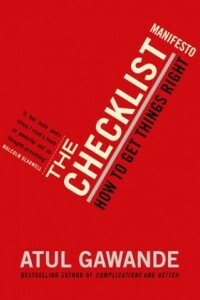 Third is an expectation of trust-worthiness: that we will be responsible in our personal behaviour toward our charges. I have rambled on long enough save to ask: is there anything to be said for embracing some of these ideas, including, perhaps, developing a ‘checklist’ for teaching systematic, synthetic phonics? With special thanks to Macquarie University for allowing us to distribute and use the link to Professor Julian Elliott’s presentation. This entry was posted in Articles, Dyslexia, News, Papers, Systematic Synthetic Phonics and tagged Atul Gawande, dyslexia, education, England, literacy, medicine, phonics, Professor Julian Elliott, Sir Jim Rose, systematic synthetic phonics, TED, The Checklist Manifesto, The Dyslexia Debate on 15th August 2015 by Anne Glennie.